From July 9th through the 16th, Nuevo Vallarta is poised to welcome 227 young sailors along with 176 vessels from 19 countries, including trainers, judges and the news media. About 1,000 adults are expected during the competition, which is estimated to bring in an estimated 20 to 30 million Mexican pesos. The 2014 Optimist North American Championship (OPTINAM) will be celebrated for the second time in the Riviera Nayarit from July 9-17. It will be hosted at the Vallarta Yacht Club located in Nuevo Vallarta. This international competition—taking place in Mexico for the third time—has already registered 227 sailors aboard 176 vessels from 19 countries; together with their trainers, family members and news media, the total of participants in the event will be one thousand adults or more. 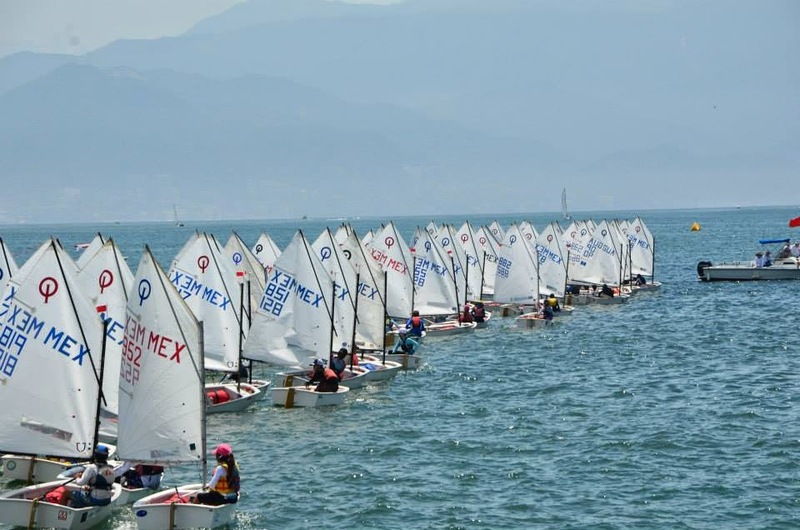 The Asociación Mexicana de Veleristas Clase Optimist (AMVCO, by its acronym in Spanish) organized the event along with the Federación Mexicana de Vela (FMV); their intent is to raise the event to the highest level in order to increase tourism. They also wish to increase the promotion of this sport, practiced by over 150 thousand children and youths between the ages of 7 and 15 years old in 100 countries; 70% of the Olympic contestants in different sailing disciplines began their careers at the Optimist. Thanks to the coverage of over 30 domestic and international news media, the 2014 OPTINAM will be followed by thousands of people in 50 countries around America, Europe and Asia. The organizers also estimate the event will generate anywhere from 20 to 30 million Mexican pesos for the region. This international competition includes three championships: the Optimist Individual North American Championship (INAM); the Optimist Team Racing North American Championship (TRNAM) and the Optimist Nations Cup (NC). Participants from the United States, Canada, Uruguay, Venezuela, Argentina, Switzerland, New Zealand, Singapore and other Mexican states began arriving July 1st. Mexico is participating with 27 of its best athletes. Mexico’s Pacific Treasure continues to showcase its abilities to host events of this magnitude, which generate international exposure that will certainly benefit cultural, eco and sports tourism in the short, medium and long terms. For more information please contact Karla Gutiérrez by calling (045)553-555-9641 or writing to Karla.gutierrez@tacticadeportiva.com.mx.